Single Malt Scotch Whisky is made from 100% malted barley and distilled at a single distillery. Blended Scotch Whisky is made by blending together a number of single malts and grain whiskies. 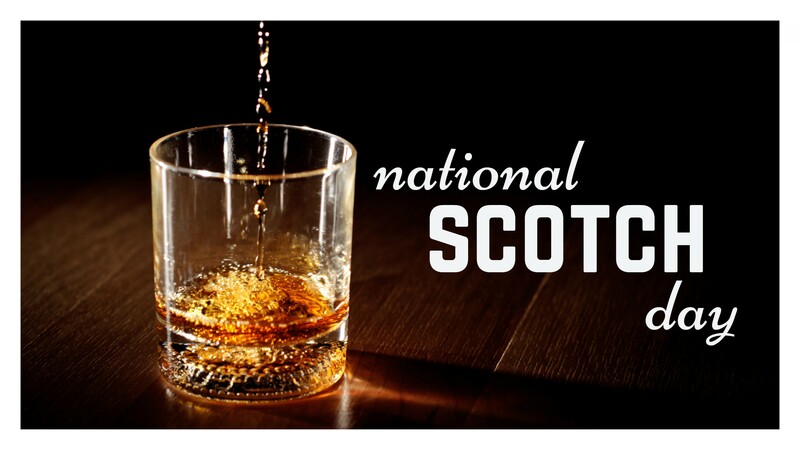 90% of all Scotch whisky sold in the market comprises of Blended Scotch Whisky. The whisky in ‘Scotch Whisky’ is always spelt without an ‘e’. In Britain, the term ‘whisky’ is taken to mean Scotch whisky only, unless it has been specified otherwise. 1880 A.P. Abourne patented a method for refining coconut oil. 1910 Large hailstones fall in Todd and Wadena counties in Minnesota, some weighing as much as 5 pounds. 1931 A swarm of grasshoppers destroyed thousands of acres of crops in Iowa, Nebraska and South Dakota. The corn fields were totally destroyed, without a stalk left standing. 1962 Conrad Arnold Elvehjem died. An American biochemist, he identified nicotinic acid as one of the B vitamins, and that a deficiency caused the disease pellagra. Love your choice of image …. even if I don’t like whiskey … doesn’t matter what language it talks.